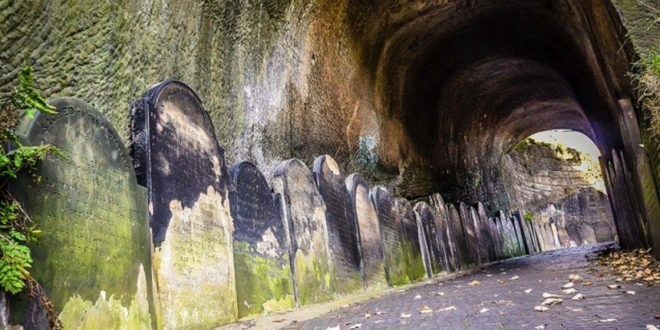 Liverpool is brimming with history, so it makes sense that there are plenty of spooky Liverpool stories and places to match, right? 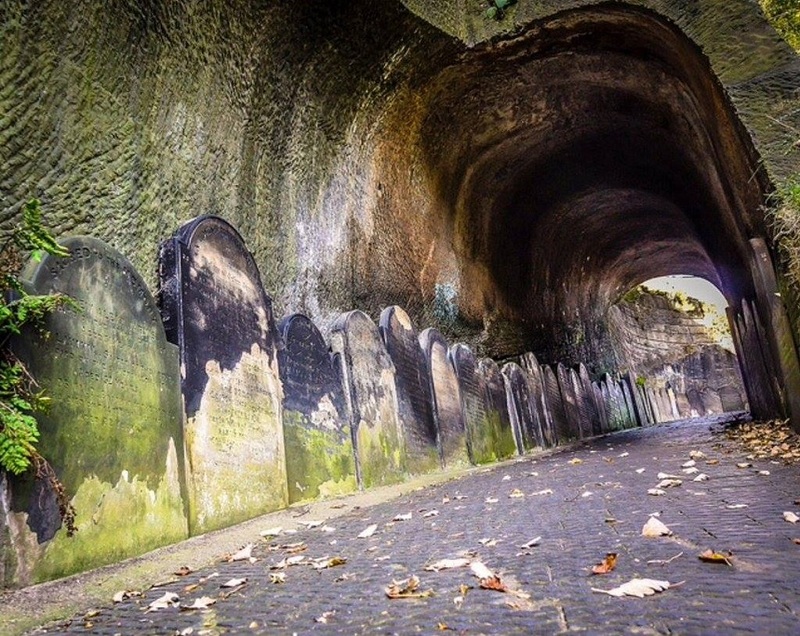 Come with us on a super spooky journey around the city taking a look back at some of scariest places and stories sure to give you the shivers. Most Liverpudlians are aware of Mackenzie’s Tomb on Rodney Street. That’s because there’s nothing quite like it anywhere else in the city – or maybe even the UK for that matter. William Mackenzie, who was a civil engineer, spent much of his career in Liverpool. Part of his role was to dig the railway tunnels near Lime Street and Edge Hill. As Mackenzie was an avid gambler, he reportedly made a deal with the devil that he would exchange his soul for life-long luck on the gambling tables. After he passed away in Liverpool in 1851, he was entombed above ground in a pyramid, sat upright with a winning hand of cards, as per his instructions. His aim was to ensure his body was never committed to the Earth to prevent the devil from staking claim to his soul. However, the above has been dismissed as hearsay, as does the description on his tomb. So, what do you think, is it all an urban myth or does Mackenzie really have a winning hand of cards in the tomb? We will never know. No-one wants their area to suffer at the hands of a curse, do they? Well, the residents of Childwall will have to ensure Bloody Acre is never touched, then! For those of you who are unaware, Bloody Acre is basically a patch of land adjacent to Liverpool’s oldest Church, All Saints Church. Despite no battle ever taking place on the land, Liverpool Council promised the area’s residents long ago that they would never build on the land; otherwise, a terrible curse would fall upon them. The land is believed to be haunted by an Angel of Death who appears when war is in sight. 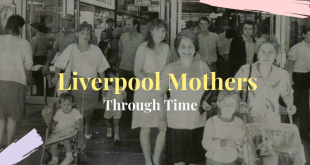 Have you ever wandered down Bold Street and suddenly found yourself in a different time? If you answered yes, you’re not alone, because there have been 100 reports of timeslips on Bold Street since the 1970s. The reports have come from seemingly sane people, who believe they have travelled back in time when walking down Bold Street or its surrounding streets. One of the most well-known stories is from 1996 about a man called Frank, a police officer, who claimed he was walking from James Street station to meet his wife on Bold Street. However, as soon as he reached the street, he realised something was not quite right, as the people appeared to be dressed in 1940s or 1950s clothing. He was so surprised by his surroundings that he was nearly run over by a 1950s van that bore the word ‘Caplins’. A shocked Frank crossed over the road, expecting to find Dillon’s bookstore, which was located on Bold Street in 1996, but instead was stood in front of a haberdashery shop named Cripps. Upon entering the shop, Frank was relieved to find a modern-looking girl standing in the shop, carrying a Miss Selfridge bag. Afraid of his surroundings, Frank grabbed the girl’s arm and asked if she could see what he was seeing. With a quick shimmer of the store, Frank suddenly found himself standing in the foyer of Dillon’s bookstore. Whether Frank’s story is a work of fact or fiction, we will never know, but can 100 people’s reports really be dismissed? You will find The Ford Mushroom just on the outskirts of Liverpool, located just outside the Jaguar Car Body & Assembly plant in Halewood. At 150 foot, you really can’t miss this structure which looks like something made by aliens. Speaking of Aliens, paranormal investigators have become convinced that the tower’s saucer is somehow acting as a magnet for extra-terrestrials. Weirdly, there have been a steady number of UFO sightings in the tower’s vicinity between the 1960s and early 2000s. Bear in mind the tower was built in 1965 and the investigators could be onto something. 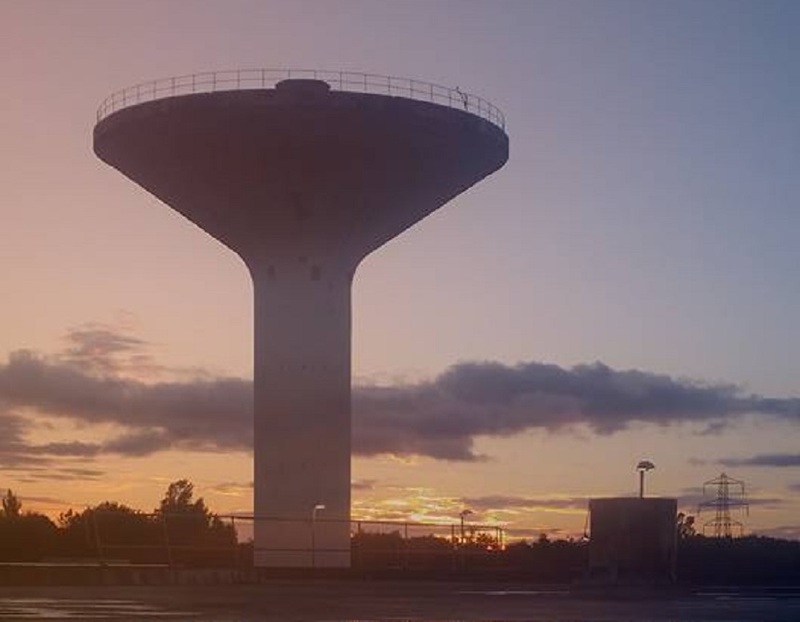 Just some of the UFO reports have included glowing spheres or light above The Ford Mushroom and even odd silver objects beaming light onto the tower at night. Are all these reports due to overactive imaginations or could the tower really be attracting aliens to Liverpool? Ever wanted to see a vampire? Well, that’s what you could find at St James’s Cemetery on Hope Street because sightings of a similar entity have been reported since the 1960s. 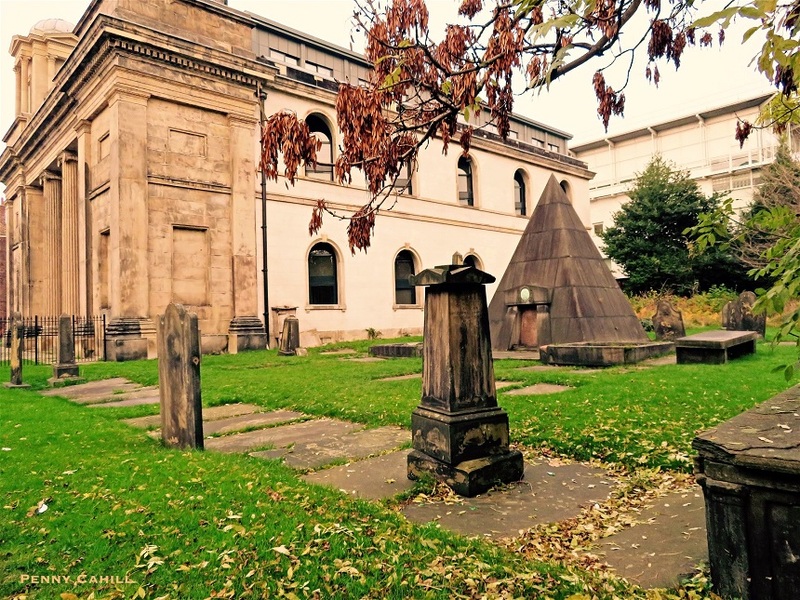 It’s not just a vampire that’s thought to be living in the cemetery, as a significant number of ghosts have been spotted, including the spirit of William Huskisson MP, who has been seen leaving his grand mausoleum, where his body was laid to rest in 1830. Newsham Park Hospital originally served as a Victorian orphanage, which was later used as a medical hospital and mental asylum. However, the hospital closed its doors in 1997, but there is reportedly some activity in the hospital. Some paranormal activity, that is. One of the most notable stories is about a female nurse who commonly reported peculiar sightings whilst working with patients at the hospital. Eerily, the nurse was found dead on one of the wards soon after. Visitors have also reported ghostly sightings, as well as hearing disembodied voices from the building. Newsham Park Hospital’s patients also reportedly mentioned children and would regularly talk to people who were not there. Speke Hall is one of the oldest buildings in Liverpool dating back to the 16th century. So, if anywhere is bound to be a little haunted, you would expect it to be here. The half-timbered house has remained open to the public, with many people reporting spooky sightings at the hall. 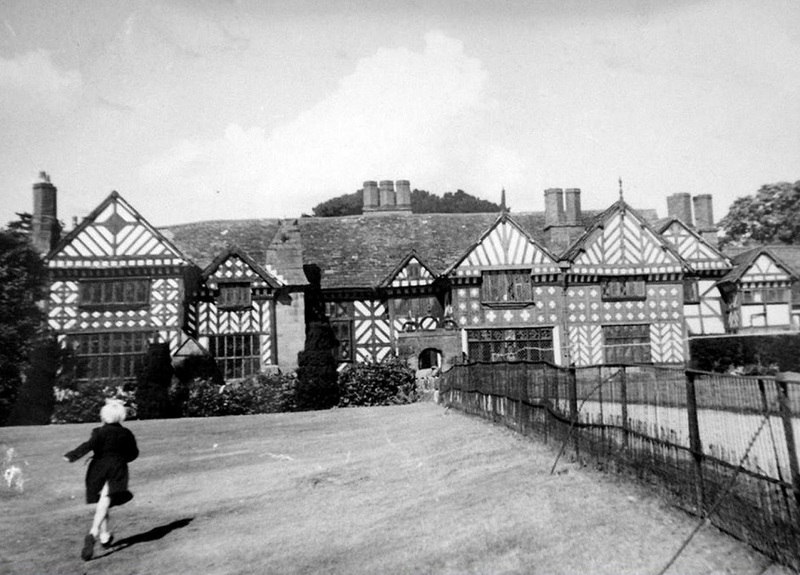 One of the most well-known ghosts at Speke Hall is The Cavalier. During the hall’s renovation in the 1950s, the workmen spotted a man, who looked like one of the Three Musketeers, grinning at them whilst leaning on a beam. In fact, he reportedly picked up a hammer and passed it to a workman, who fell through the hatchway in sheer fright. That’s not the only story of The Cavalier, though. During the 1970s, Charlie Williams, a 13-year-old boy, would regularly ride to Speke Hall to talk to a rather eccentrically dressed man, whose description matched that of The Cavalier. The man referred to himself as “Mr Pobjoy” and taught Charlie sword-fencing before he later admitted to Charlie “I’ve been dead for years”. The young lad, afraid of who he had been talking to all this time, rode away on his bike as fast as he could from Speke Hall. 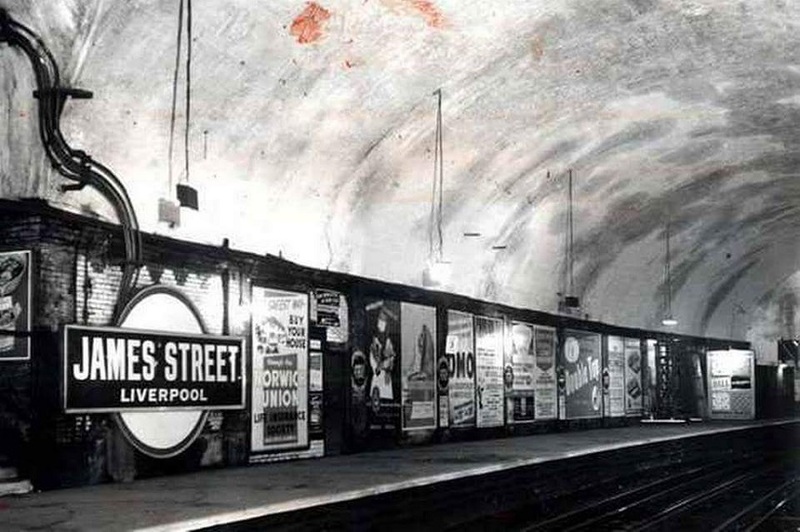 James Street Station dates back to 1886 and has been part of Liverpool’s transport system ever since. One staple part of the station appears to be a ghostly soldier who has been seen riding the train from Birkenhead Central to James Street, and he has been known to disembark from a disused side of a platform. Back in the 1990s, James Davidson, a lollipop man, told the local paranormal writer Tom Slemen that he and other passengers had seen the ghost on a train one day and was taken aback by its flat appearance, stating it looked as though it had been cut-out. So, the next time you’re on a train to or from Birkenhead Central, look to your left or right and you might just find you’re sitting next to the ghostly soldier. 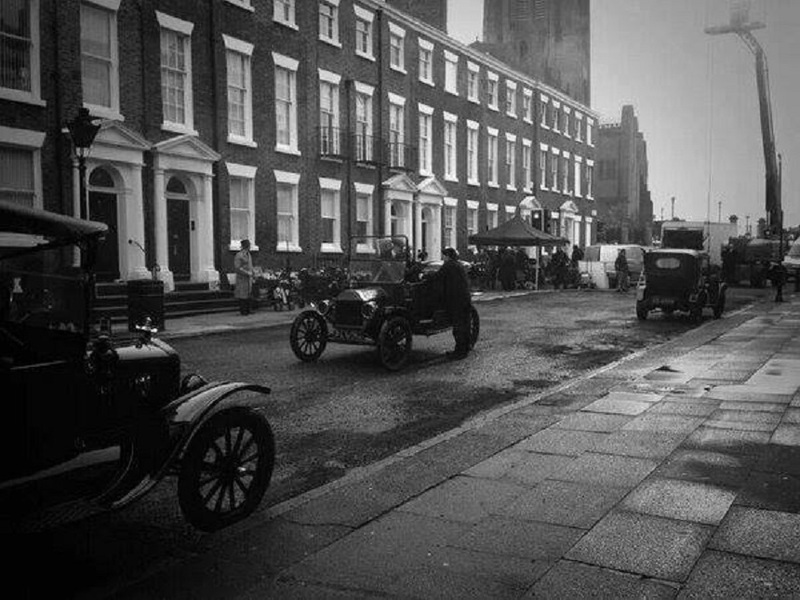 Rodney Street is believed to be the most haunted street in Liverpool, as all sorts of paranormal sightings have been reported over the years. The famous “Lantern Jaw” is the spirit of a man with a huge square jaw, top hat and a long flowing opera cloak. The ghost has been seen walking down Rodney Street for a number of years, with many confusing the spirit for the ghost of the shorter William Mackenzie, mentioned earlier. The two ghosts have also been seen arguing and fighting on different occasions, but no-one has ever been able to explain why. 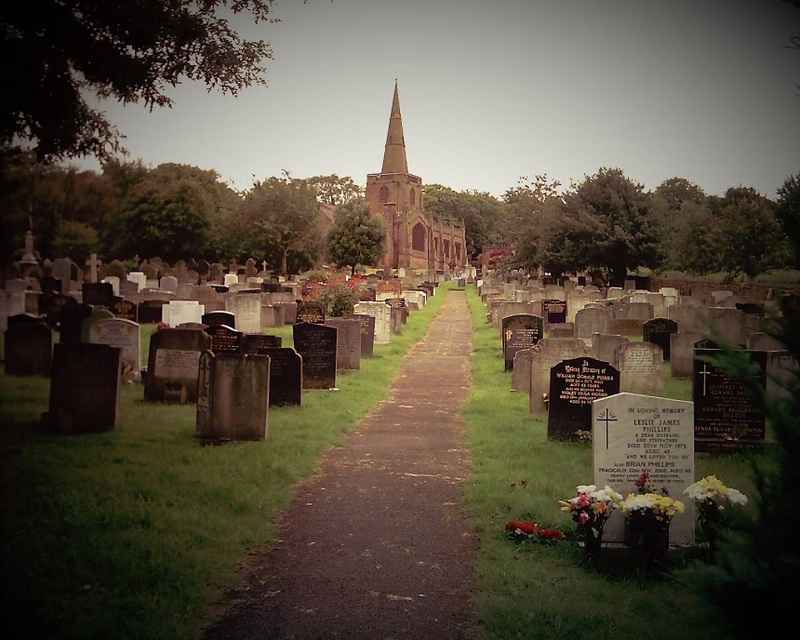 Another ghostly story occurred after workmen unearthed bones in St Andrew’s Cemetery. Since the work, the ghosts of a petite woman with a Regency bonnet and a little girl have been seen walking down the nearby Maryland Street. 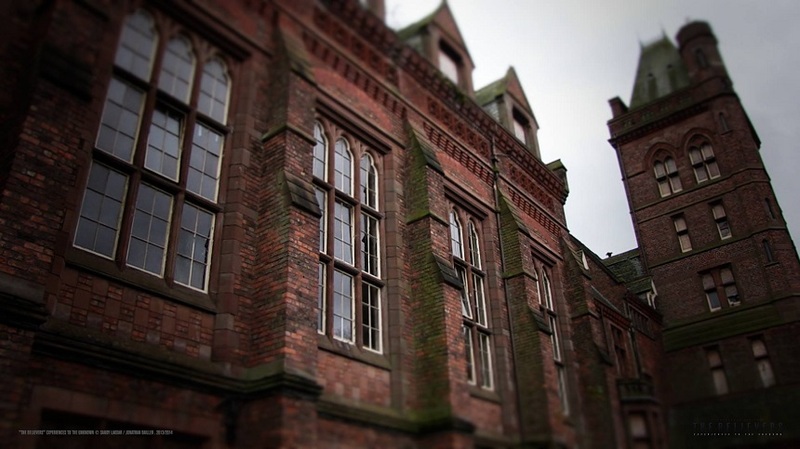 For more spooky Liverpool stories check out the Most Haunted Buildings in Liverpool here.